Create a well in the flour and add the egg and a pinch of salt. Whisk together while gradually adding the milk until you have a thick and smooth batter. Add the Aussie mandarin zest and mix. Heat a small, non stick frying pan over a medium heat. Pour desired quantity of batter into frying pan and cook until bubbling on top, then flip to cook the other side. 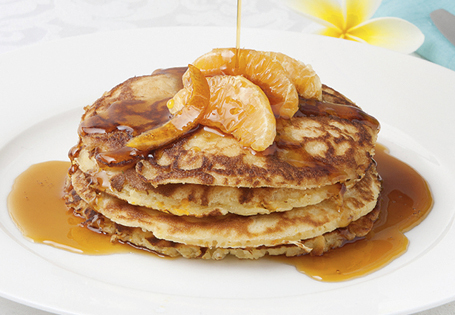 Serve with mandarin segments and maple syrup.